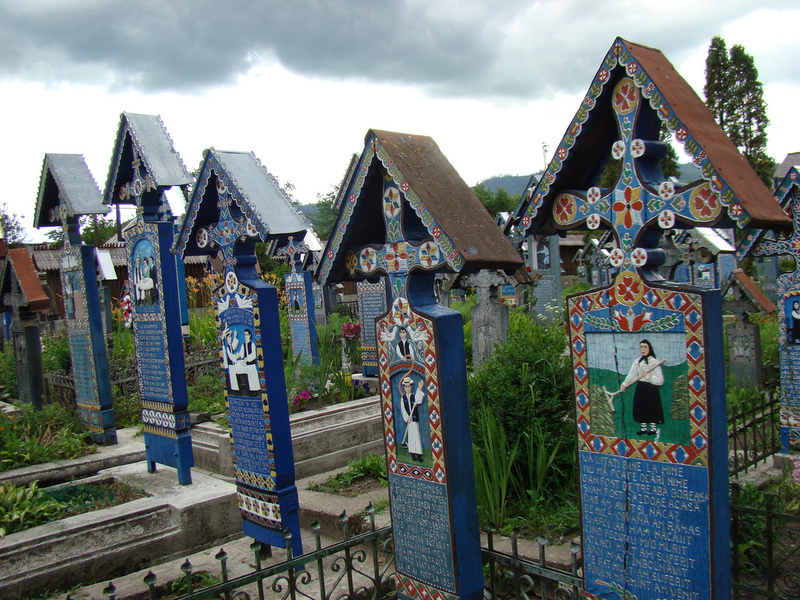 The Merry Cemetery of Sapanta project was initiated by Stan Ioan Pastras and it was included in the top unique cemeteries in the world. In this place death is mocked and everything is cheerful. Any other resting place in the world is usually sad and dignified, but here the epitaphs on the crosses stir laughter. 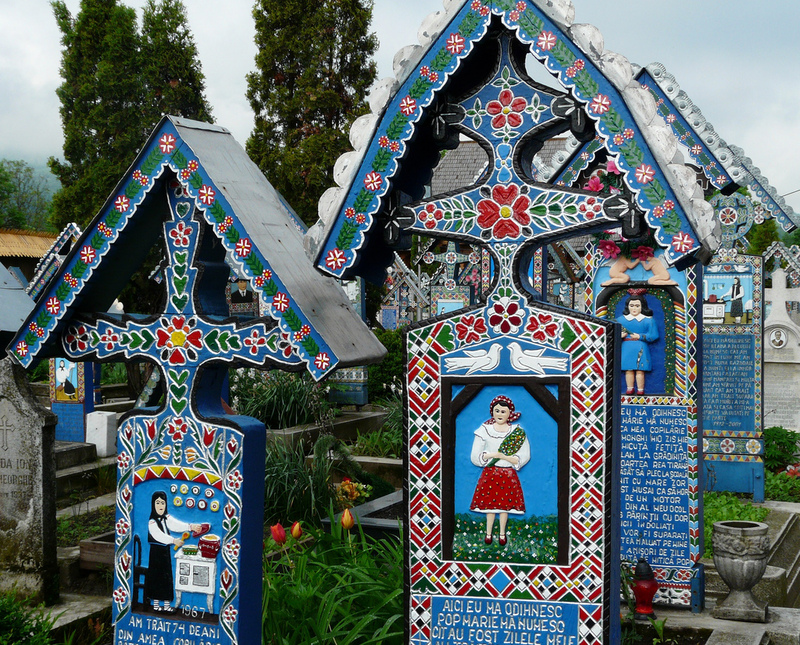 It is located in Sapanta town, Maramures county, Romania and it is famous for its beautifully colored crosses. The naive drawings depicts moments from the life and occupation of the buried person. On some of the crosses lyrics remind of some of the things the person went through. The most visited ones are “Crucea cu Soacra” and “Mort de Moarte Fortata” literally meaning “The Mother’s In Law Cross” and “I died because Death forced me”.